You must feel most of the outdoor playgrounds out there are the same – slide, seesaw, swing etc, and its little unimaginative. 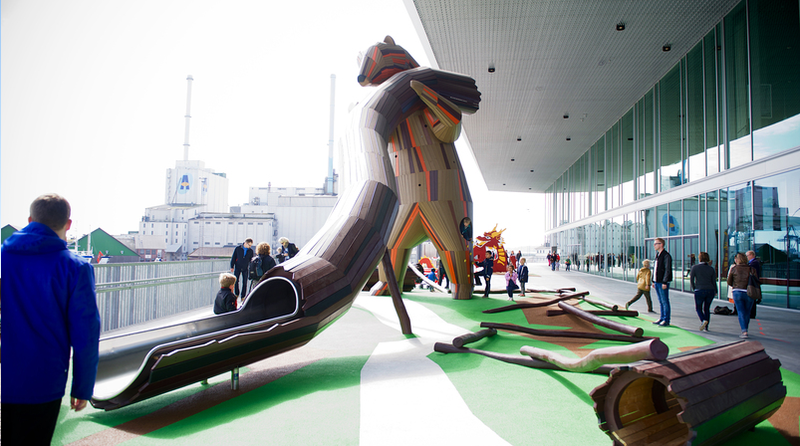 Well, A Danish company is fixing that with their amazing, jolly, playgrounds that you ever seen. MONSTRUM was founded by Ole Barslund Nielsen and Christian Jensen, who met while working their previous jobs designing sets for Danish theater productions. 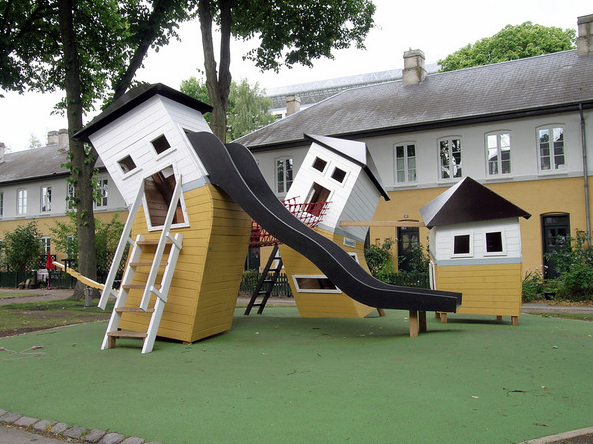 Since 2003 they’ve created elaborate, humorous playgrounds that are usually designed around stories — a sinking ship, a giant eel enveloping a lighthouse, wonderland houses. or wonky. 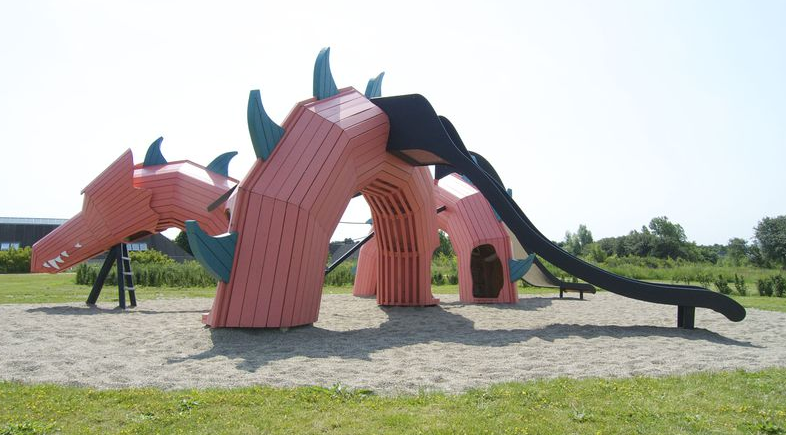 Here are 16 of their implausible designs that even adults will want to play on. 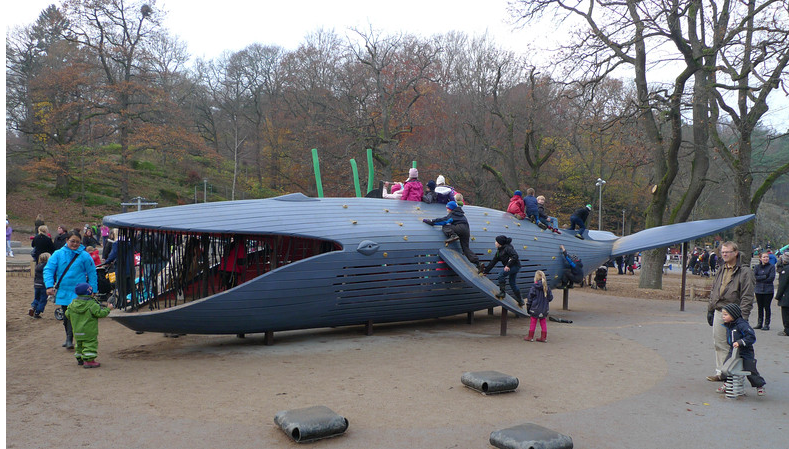 Children can climb into the gut of this 15-meter-long Blue Whale that’s beached in Plikta Park in Gothenburg, Sweden. A Sperm Whale sit outside of Denmark’s North Sea Oceanarium. 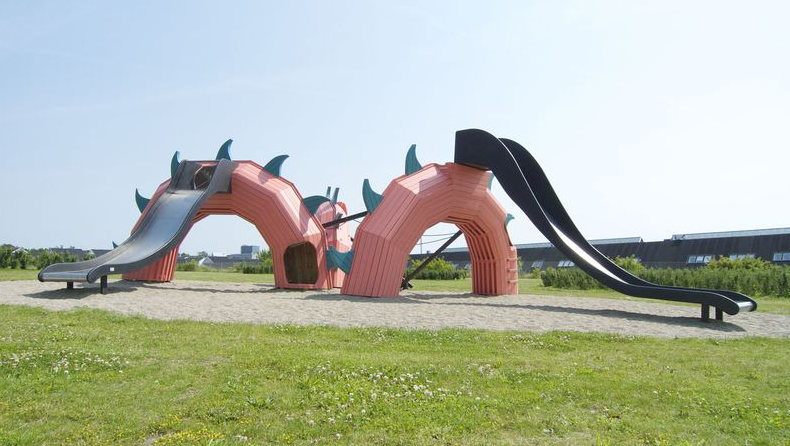 This dragon slithers through the sand in Mulighedernes Park in Aalborg, Denmark. A giant parrot has roosted in a small public park in Copenhagen. An eel is wrapped around a lighthouse next to the National Museum of Bermuda. Two giant owls oversee this large playground in Stockholm’s Kristinebergs Slottspark. There is numerous creepy-crawlies parade are behind giant owls. 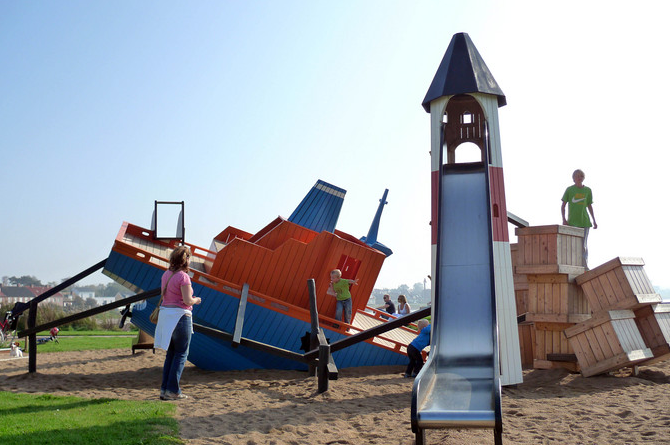 In addition to nature scenes, many of MONSTRUM’s playgrounds are dynamic shipwrecks. This massive ship is going down in Moscow’s Gorky Park. The ship in snowy Gorky Park is being attacked by a kraken that kids can slide down and clamber over. 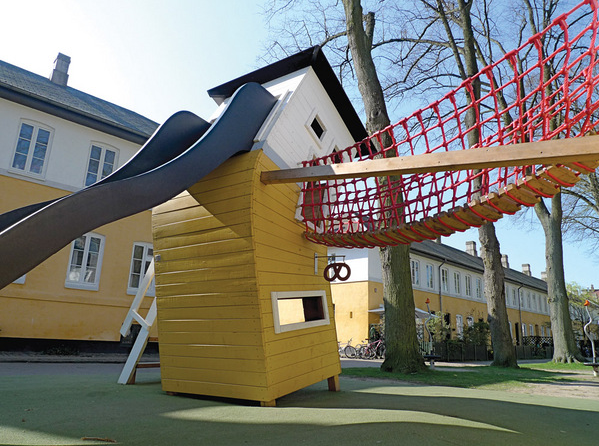 This playground in a park in Copenhagen is called the Bermuda Triangle. A cargo ship has crashed in Sweden’s Höganäs Municipality. 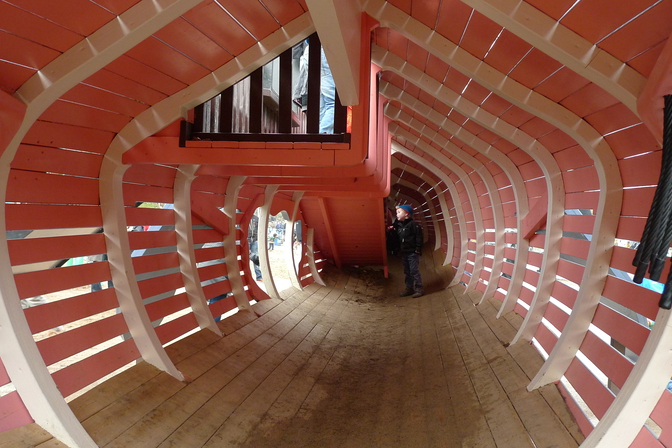 This ship in Copenhagen hit a sandbar and broke in two, making it a perfect place for young children to play tag. Brumbleby is an iconic collection of houses in Copenhagen. 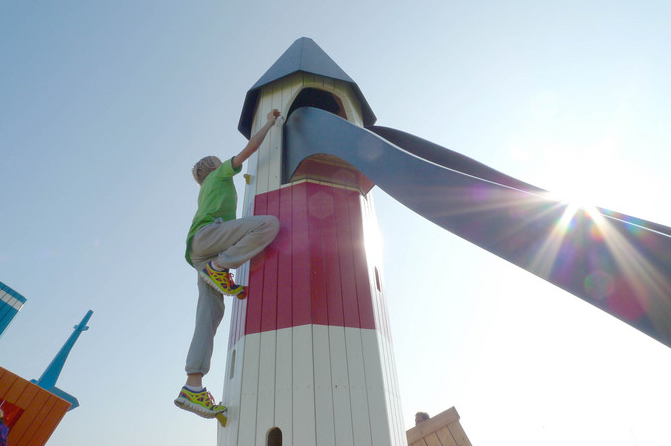 The Rocket and Princess Tower in Copenhagen combines a typical “girl” playground with a typical “boy” playground.